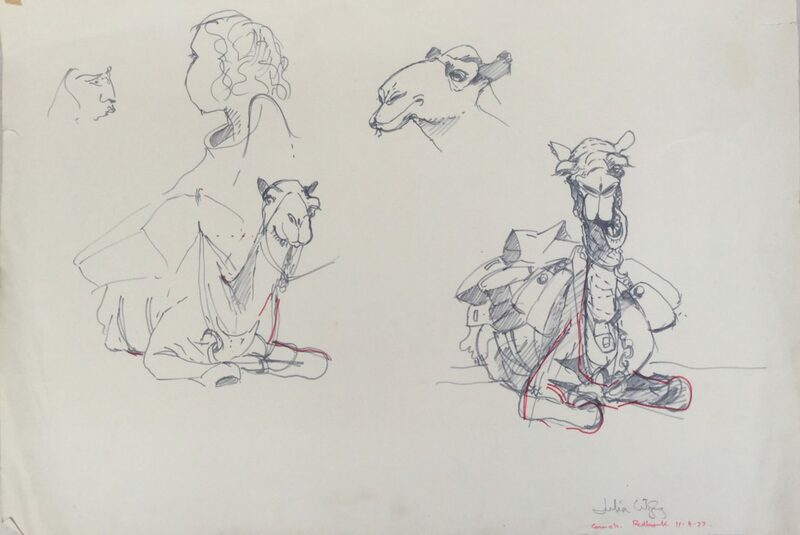 From the archive drawers: One of several studies of Robyn Davidson’s camels made just prior to her trek across Australia. Redbank Gorge was always worth the long drive from Alice. The Gorge was off the beaten track so the chances of a solitary experience in a beautiful location was always high….usually. Our Toyota caravan met up with the camel caravan.